One Kid Can Make a Difference! Ilove Kids and I love Cars. I believe I can make kids happy with the cars I love!! Cash Cares is an original concept created in the mind of an 8 year old boy and his 12 year old sister who wanted to help change the world. Cash and Hannah are fortunate enough to have access to luxury things from cars, homes and more. Together, they want to share the enjoyment of these luxuries with those that do not have the opportunity. Cash & Hannah are doing their part to connect with other individuals around the world to assist those in need. Every dollar donated to Cash Cares will help us to bring happiness to children around the world. We will bring food, clothing, emotional support, and education to children from all walks of life. Cash Cares loves to explore charitable events throughout the world. Raising awareness and money for good causes, Cash and his team travel to events in order to learn and see what others are doing to make a difference. Follow us and see how much fun it is to make a difference. 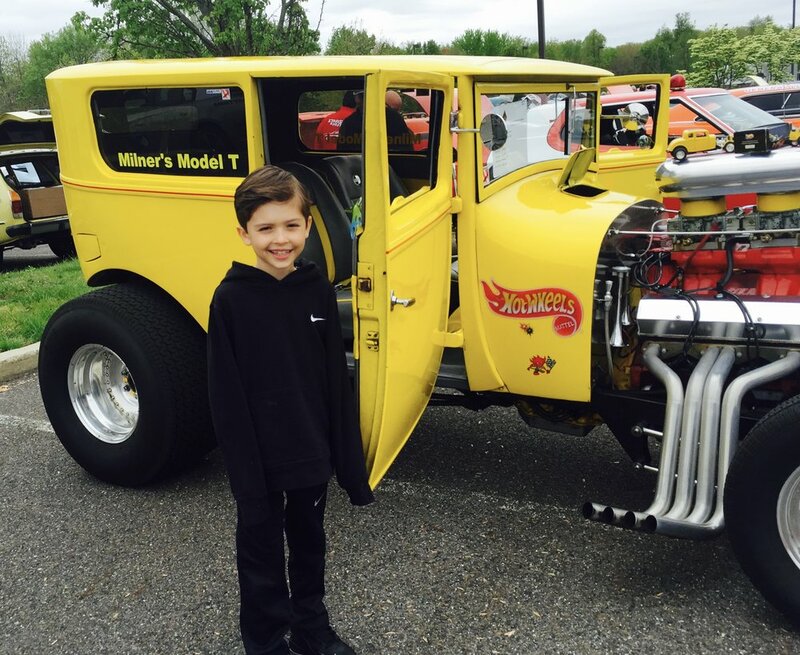 Cash went to the incredible Touch a Truck event that was created by Oaks Integrated Care in NJ. He toured the event to scout which vehicles he will be bringing the their next event. Cash loves to challenge himself to raise more and more food to donate to the Food Bank. The Food Bank is all about the weight of the food. How many pounds can we donate next round? Stay tuned and you will find out!! What is better to bring awareness to a great cause other than a bright yellow Lamborghini. We want to capture the attention for people to donate. You will not miss us unless you close your eyes.